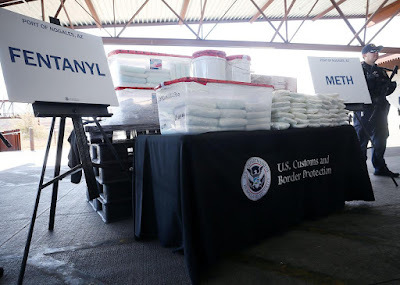 US Customs and Border Protection made the largest seizure of fentanyl in the agency's history at the Nogales port of entry. 100 packages of fentanyl weighing nearly 254 pounds (115kg) was intercepted. 395 pounds (179kg) of meth was also found. 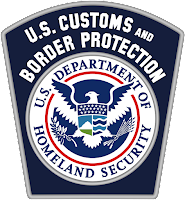 Fentanyl seized at ports of entry has jumped from 440 pounds in fiscal year 2016 to more than 1,196 in 2017. As of July 31, with two months remaining in fiscal 2018, officers had already seized nearly 1,400 pounds of fentanyl.